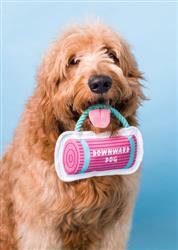 Includes two canvas pet toys with rope. 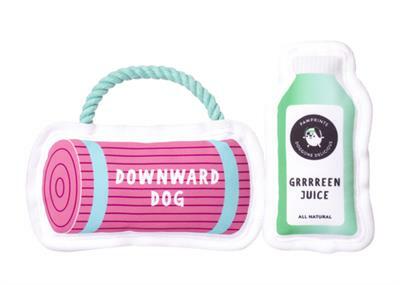 Delight the pet lover in your life with these gym inspired trendy dog toys! 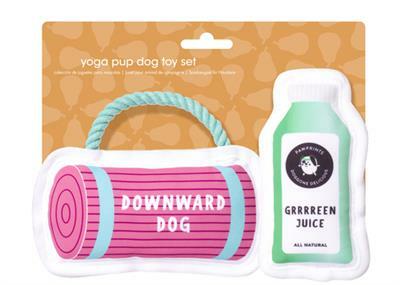 Pearhead’s new yoga pup dog toy set is the perfect toy set for dogs of all sizes and makes a great gift for anyone with a new pup! Delight the pet lover in your life with these Gym and yoga inspired trendy dog toys. These toys are great for small dogs or large dogs and is the perfect fetch-worthy gift for your pup!